Luke Skywalker has nothing on Steve Colton. Mark Hamill is a lot busier this time around in Star Wars Episode VIII. The actor, who reprised his role as Luke Skywalker in Star Wars: The Force Awakens, took a break after a long day of filming the franchise’s eighth installment at London’s Pinewood Studios to talk about his return to video games. 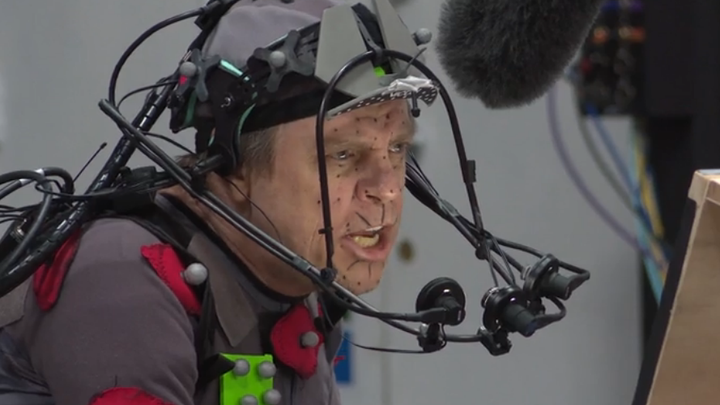 Hamill is part of an all-star cast that spent time with game designer Chris Roberts (creator of Wing Commander) to bring full performance-capture acting to the characters in Squadron 42. The upcoming PC action game is part of the massive crowdfunded Star Citizen universe. Hamill talks about his second stint with Roberts, and how much technology has advanced in the PC gaming space, in this exclusive interview. What was it like reteaming with Chris Roberts after so many years? What a great acting surprise. It seemed to be a year of happy surprises, to get called back by The Flash people, assuming they're going to have me play The Warden. And lo and behold, they want me to play The Trickster again. What a delight! A wonderful part, and something that I'd never thought I'd return to. You could say that about the Star Wars franchise. Same story. And with Chris, from the first time I met him, I just could relate to him so easily. He's fun to be around. He's incredibly smart, so personable, so knowledgeable and passionate about the project that he was describing. I played games with my children when they were small, but at this point, I really didn't understand what a leap forward the technology has taken over time, so I had no expectation. 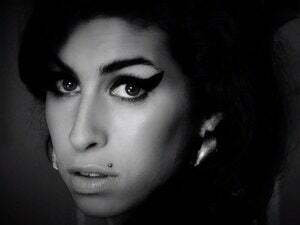 I thought this was a closed chapter in my life, and when he called and said, I'd like you to do this, I didn't even have to read the script. I accepted immediately because I trust him so deeply. At the time, Wing Commander was cutting edge, but now so many years later this Star Citizen: Squadron 42 is pushing things a lot further. What was it like to step into this performance capture? 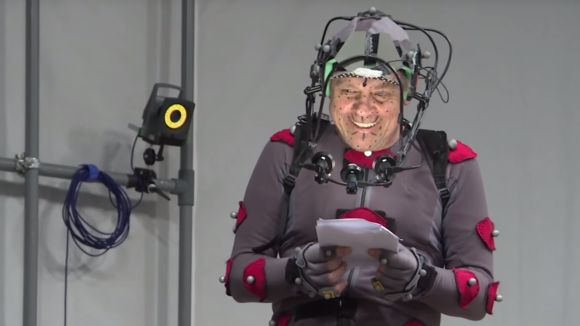 The technology now is the next generation of the facial rigs and the full 3D scans of the actors, and it allows so much more detail and nuance. Back then, just the fact that you had live action characters to simulate almost a film experience was a feat. This is integrating the characters into its own world, so there's a cohesion to all the elements, and it's extraordinary. You put these rigs on and they've got these cameras on your face. They've got so many different cameras around the studio. Performance-capture acting involves three cameras on the face, 50 cameras capturing body movements, and a whole lot of sensors. We filmed this at The Imaginarium Studios, which is Andy Serkis' studio at Ealing Studios—the oldest studio on England. It opened in 1912, the year the Titanic went down, and all my favorite Ealing comedies were filmed in there, so I loved just the history of it. But to go back to your question, this is what's considered the next level in performance capture. Everything uses one to three cameras on the actors' faces. Plus there are 50 cameras capturing their moves. So you're in this bare-bones studio with apple boxes for chairs and just the basic rudimentary wood structures to approximate the cockpits and so forth, and yet when you look on the screen, you see what they're getting. It's totally realized. So it's almost beyond even doing some of the stuff that you do on green screen, where you look at the drawing and get an idea of what's eventually to come down the road. It's very exciting. How does acting in a video game differ from acting in a movie such as Star Wars: The Force Awakens? You're giving little jigsaw puzzle pieces for them to assemble the final product themselves. It's really hard in a way because you're trying to stay in character for all the different reactions, but given the fact that he had to give neutral, negative, and positive in every situation. You kind of wind up thinking, who is this guy, and of course, they wont really know who he is until they've played the game all the way through and explained it the way you played it. This new one we did is miles beyond what were able to achieve 30 years ago. What was it like working with this cast? What a cast to work with. I mostly worked with John Rhys-Davies. I got to work a little with Ben Mendelsohn and Jack Huston. I didn't get to work with Gary Oldman or Gillian Anderson, or Andy Sirkis. I did work with Liam Cunningham and Mark Strong. The cast is just superb and they've got this young guy, Ian Duncan, who is the player. He's in every single screen, never had a day off, but just a tremendous person in terms of having the right kind of attitude. He was just wonderful to work with. If I were in his shoes and I worked every single day for months... he had such an even temper. What I was amazed by is that he got every single word exactly right. I had cheat sheets all over that set because as you get older... my memory is starting to be not as razor sharp as I'd like it to be. Again, you're doing various takes and various versions to cover all the different possibilities that the players might have, so I only have highest praise for Ian. If it wasn't fun to work with a guy who's playing the player, it could make this job kind of a chore rather than a delight, and luckily for us it was just great fun to do. Performance-capture, sometimes called motion-capture, or how to turn a real-life actor into an animation. What are your thoughts on Star Citizen becoming a reality through crowdfunding? It was 100-percent crowdfunded. When Chris called me and told me, at the time he said it was about '76.' I thought he was talking about $76,000 and he was talking $76 million. Now it's over $111.6 million. I've been trying to raise money to get Black Pearl [Hamill's comic book] made and this movie is my pet project and I want less than $10 million for us—it's kind of a raw, low-budget indie movie. And I was stunned. It just shows you how passionate these gamers are because it started in October 2012 and its still going on today. I don't know how many millions of people must be involved in raising that kind of money, but that just shows you the reputation that Chris has developed over the years in the gaming community because he's very well respected. People are really excited for this game, and it's interesting because people either have no idea what it is at all or they're ultra-passionate fans. There's no middle ground. That's the very definition of a cult following. What's it like to see yourself virtually? The way they're able to render my character, Steve Colton...he's a grizzled lifer as we used to call them. My dad was in the Navy and he called these guys that were in the service from the moment they left high school until their retirement 'lifers.' He's grizzled. He's cranky. He's seen it all. I tried to give that in my performance and I saw the rendering and thought it was great. It's like a combination of Jack Palance and Lee Marvin. He's just a badass guy. That's one of the reasons I love animation so much; you're able to play characters who you'd never be able to achieve if you were seen. The fact that you can play all these character parts using just your voice is amazing. I never would have been able to play the Joker with live action because they'd want somebody tall and lanky. But in Squadron 42 it's taking that idea of the animated voice even further because they can adjust you and make you as tall or short or as wide or as whatever they want as needed, which is thrilling to me. It really liberates you and makes you instantly more able to play a much wider range of roles. Hamill notes how anything goes in video game acting—you're not constrained by your physical body and therefore can play many more characters. Is this the type of game you would actually try to play, or at least watch someone play? Oh, absolutely. First of all, my sons Nathan and Griffin are both in their 30s now. They left gaming for the longest time and then got back into it. You know you're really getting up in age when your children start getting nostalgic for earlier periods in their lives. But I would love to watch somebody that's good at it play this game and really get to know how it's done. It's a little bit of fear of the unknown for me because it is so sophisticated. I'm wondering, Wow, could I just jump right in and do this? But I think I could because in this game it's a whole universe where you can go and explore wherever you want. Even Wing Commander had a certain storyline and a thread that had a beginning, middle, and end, and in Squadron 42 you can go where you want to go, do what you want to do, collect what you want to collect, colonize planets and ships. It's unbelievably exciting. I like the idea of being able to explore rather than just shooting. One of the things that always got me about video games was there was nowhere I could go and just gather my thoughts without being attacked. It was always comets falling out of the sky and holes opening up with quicksand and all that. I just need to gather my thoughts. Can I jump up in a tree and just chill? Well, the answer is no, but not in this version. It's more than a game. It's an all-encompassing experience that you control. I can't tell you how exciting it is to always be at least close to cutting-edge technology. I've been so lucky in my career, not just in Star Wars, but with Wing Commander, and now with Squadron 42.